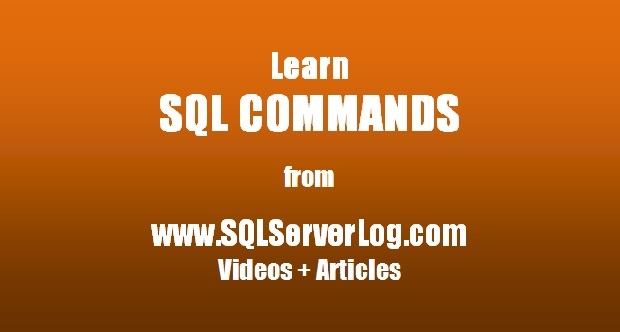 Kindly refer following SQL Commands, I have covered most commonly used commands and I will keep adding when new SQL commands are added to new version of SQL Server and respectively deprecated commands will be removed from the list. You can also request to add more commands which are not available in the list and if you want to use it. ***Right Click Here and Open Link in New Tab to watch live practicals for SQL COMMANDS.